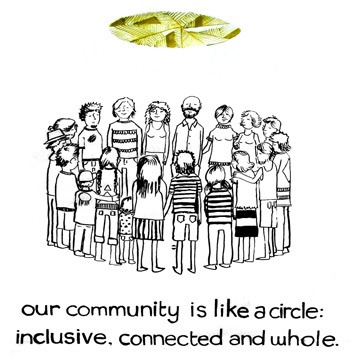 To create a community healing space that is accessible and open to people of all ages and all walks of life. Our success as a community-oriented business depends upon everyone; our patients, students, teachers, homebodies (hemma volunteers), and staff, all of whom make hemma their home in some way. We are grateful to be embraced and supported by our community, and that gratitude is reflected back in the warm welcome everyone receives when they come through the door. So, “Valkammen till hemma!” We look forward to serving you! We acknowledge that systemic barriers can impact a person’s ability to access our services. We strive to anticipate and address these barriers, and also welcome your feedback – we are committed to continually adapting our offerings and practices so that they are as accessible as possible. We strive to create a safe and comfortable environment for all members of our community. We welcome people of all genders, sexes, races, colours, incomes, national origins, ages, abilities or disabilities, marital statuses, familial situations, religions, sizes and shapes, sexual orientations, and political beliefs. Your level of care will never be based on any of these factors.